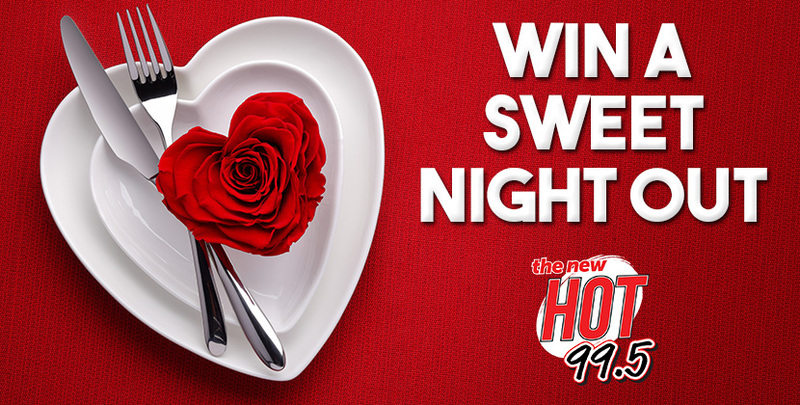 Win A Sweet Night Out For You & Your Bae! The Hot 99.5 VIP (the "Service"), operated by Triton Loyalty, and WXNR-FM (together, Triton Loyalty and WXNR-FM are referred to as "we", "us" or "our") is provided to you ("you," "your" or "User") under the following terms and conditions, including any amendments thereto and any additional terms and conditions, rules or policies that may be applicable to particular offerings made in connection with the Service (collectively, the "Terms and Conditions"). We reserve the right to update or change these Terms and Conditions from time to time. Any such changes shall be reflected in an updated version of the Terms and Conditions posted on this site. By continuing to use the Service following the posting of any such change, you will be deemed to have agreed to the amended version of the Terms and Conditions. Any failure to comply with these Terms and Conditions by you may result in the termination of your account, and the forfeiture and relinquishment of all Points you have accrued in the Service. BY REGISTERING TO USE THE SERVICE, YOU AGREE TO BE BOUND BY THESE TERMS AND CONDITIONS, SO PLEASE READ THEM CAREFULLY. Unless otherwise specified in connection with particular offerings, participation in the Service is open only to natural persons who are 13 years of age or older. Employees or agents of WXNR-FM, Triton Loyalty, and each of their respective affiliates, and immediate family members of or persons domiciled with any such persons are not eligible to participate. In consideration of your use of the Service, you agree to provide true, accurate, current and complete information about yourself as prompted by the registration form and to maintain and promptly update your personal data to keep it true, accurate, current and complete. If you provide any information that is untrue, inaccurate, not current or incomplete, or if we or any of our service providers have reasonable grounds to suspect that such information is untrue, inaccurate, not current or incomplete, we have the right to suspend or terminate your account and to refuse any and all current or future use of the Service (or any portion thereof) by you. You may not register with a disposable email address. Only one member account per person and two member accounts per household. If you are 13 years of age or under you cannot post information about yourself on the website or complete the registration process. You can, among other things, review your accumulated Points, review the Terms and Conditions as amended from time to time, and review redemption options at vip.thenewhotfm.com . WXNR-FM and Triton Loyalty (collectively, 'us', 'we', 'Operators') have created this privacy statement in order to demonstrate our firm commitment to privacy. The following discloses our information gathering and dissemination practices for the Hot 99.5 VIP website ('Site'). This sweepstakes will begin on 2/1/2019 12:25 PM ET and all entries must be received by 2/12/2019 12:00 PM ET. You currently have 0 entries.